Air Niugini passengers on both domestic and international flights have been encouraged to make use of the airline’s online check-in system in order to avoid long queues and time spent at the check-in counters at the airport. 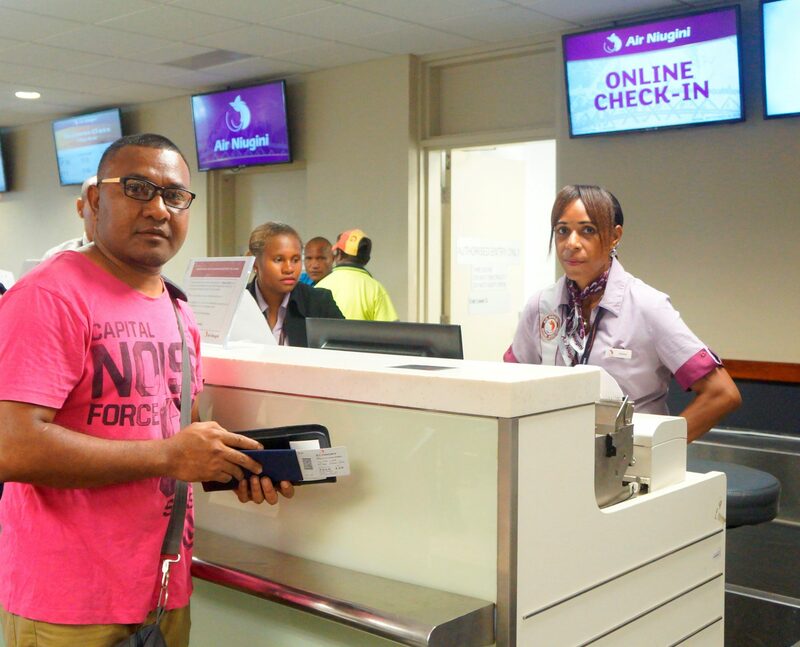 Air Niugini’s General Manager, Customers and Markets Mr Dominic Kaumu said the online check-in is an internet self-service facility which allows passengers to check in for their flights in advance from the comfort of their homes or any place that has access to internet. The system is available on Air Niugini’s website (www.airniugini.com.pg). He said at the end of the online check in process, passengers can print or email their boarding passes and those without baggage can proceed to the security gate and into the boarding lounge without having to present themselves at the check-in counter. However , he said those passengers with bags can check in at a specific bag drop counter without having to go through the whole check-in process. “The bag drop counters have signage and are visibly located at both domestic and international terminals, you won’t miss them. But first of all, you have to check-in online.” Kaumu said. Passengers can check-in online from 24 hours up to 3hours before the flight departs. The online service is available to passengers traveling on all Air Niugini and Link PNG destinations except for flights from Australia and Japan. Meanwhile Air Niugini is currently running a promotion for online check-in passengers to go into a draw for a chance to win 2 return tickets to Pohnpei, Federated States of Micronesia. “Monthly prizes will be drawn for October, November and December 2016. Further information on the promotion can be found on Air Niugini website . But remember, you have to check-in online in order to be in the draw for a chance to win that trip.” Mr Kaumu concluded.